The book contains 10 learning modules that focus on how to use lidar data with GIS to answer questions and make informed decisions about real-world situations. Redlands, California—A new book published by Esri teaches how to use geographic information system (GIS) software to analyze and visualize lidar data. Lidar is an optical remote-sensing system that uses a laser to measure topography, vegetation, objects such as buildings, and the ocean floor at some depths. Data collected from lidar can be used to create highly accurate elevation and terrain models. 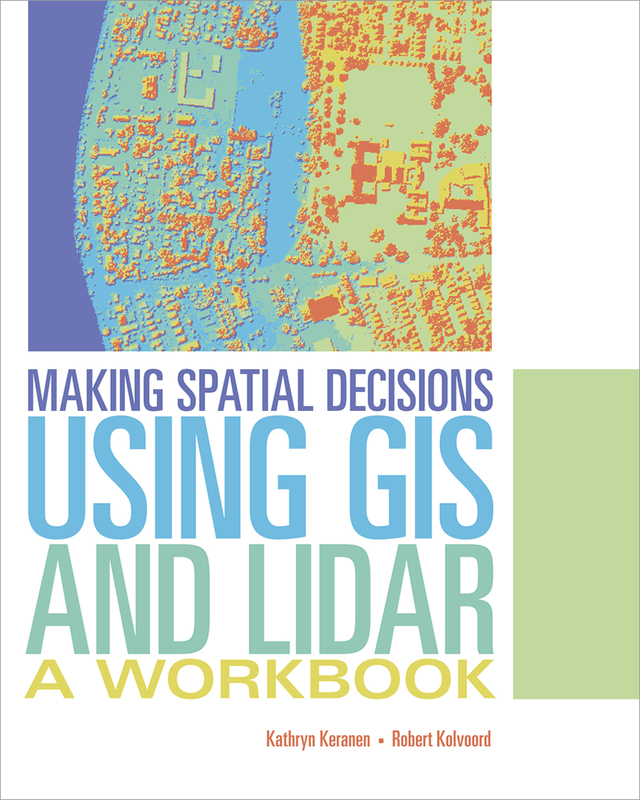 Making Spatial Decisions Using GIS and Lidar: A Workbook presents problems that need to be solved using lidar data and the geospatial analysis tools in Esri's GIS software, ArcGIS for Desktop. The book contains 10 learning modules that focus on how to use lidar data with GIS to answer questions and make informed decisions about real-world situations. Exercises include determining how much land to excavate for an underground parking garage, locating cell phone towers for maximum signal coverage, placing solar panels based on the amount of solar radiation in an area; analyzing how a coastline has changed after a major hurricane; and making flood insurance rate maps based on hurricane inundation zones. The workbook covers basic lidar data analysis techniques, 2D and 3D modeling, volumetric analysis, shadow maps, forest vegetation height analysis, and other lidar-related analyses. The book is a college-level textbook for students and geospatial technology professionals and was written with the assumption that readers are familiar with lidar and have some experience using ArcGIS for Desktop software. Making Spatial Decisions Using GIS and Lidar: A Workbook is the third book in the Making Spatial Decisions series written by Kathryn Keranen and Robert Kolvoord. Keranen is an instructor at James Madison University in Harrisonburg, Virginia. Kolvoord is a professor of integrated science and technology at James Madison University. They wrote Making Spatial Decisions Using GIS and Remote Sensing: A Workbook and Making Spatial Decisions Using GIS: A Workbook, also published by Esri. Making Spatial Decisions Using GIS and Lidar: A Workbook is available in print (ISBN: 9781589484290; 264 pages, $79.99 or as an e-book (ISBN: 9781589484344). The book is available at online retailers worldwide, at esri.com/esripress, or by calling 1-800-447-9778. Outside the United States, visit esri.com/esripressorders for complete ordering options, or visit esri.com/distributors to contact your local Esri distributor. Interested retailers can contact Esri Press book distributor Ingram Publisher Services.